But before I get to the current reading, let me recap the previous two years; there may be a trend here: The 2009 reading foretold a very serious year, with challenges and lessons about claiming our own power, in order to face our fears. Hey, wasn't there a recession or something going then? When the 2010 reading came along, although the seriousness continued, we saw the winds of change coming to break up the old pattern. Like little butterflies, we were at last able to spread our wings and do some flitting about. I hope it's true for you, too, dear readers - because I'm feeling much better about things in my life now than I've been for a while. What a long, strange trip it's been! Right now, we're paused somewhere on The Ladder of upward motion. The climb out of the old pattern has been step-by-step, but we are steadily going higher to the source. Our issue, and our focus, is that Tower we see rising in the distance. A harbinger of naturally-unfolding change, the Tower calls us to pause and reflect on where we've been, then focus our attention on the road ahead. It helps to have a good Mirror for self-reflection, to clarify our motives and know just what it is that we're all about. However, don't get so distracted you start going around in a Circle, dear traveler. That Circle of peers is fine in its place, but you really must trod your own path this time around. If you have trouble finding your way, let the solid Stone of your integrity tell you: Go with what feels right within. Ahead of us, we'll be searching with The Wanderer, ever seeking and discovering as we explore the braided channels of our next stage on the journey. The Star of Indecision overlights this stretch of the road - so it's okay to sit still and do nothing! At a brighter level, this universal energy calls us to take part in the dance of Yin and Yang, of activity and quiet, of giving and receiving, of mixing it up to bring forth the new. The goddess-given energy of The Maiden can help us here. Our new focus will be The Field, that place were we can run free and truly explore all the possibilities and potentials of what is to be. Of course, as long as we're out there standing in our Field, we must also be truly willing to seen. Thus it's important to, once and for all, take off The Mask and stop hiding the beautiful light that glows within. Major themes for this year involve confronting our limitations while accepting the truth. Dealing with authority - both within self, among ourselves - will likely form the catalyst for this growth. As the year progresses, we will find way to access the light and let it shine, even in the darkest situation. Strong manifesting energy prevails this year, so (as always) be thoughtful about what you wish to bring into form. The arc of this energy pattern builds throughout the year; we'll really start to notice it more in mid-June and follow it to a crest in the last weeks of December. Happy New Year once again to all my readers, followers, friends, and fellow-travelers! Would you like to have a forecast of your personal energy cycles? My intuitive readings will help answer your questions and illuminate your path - and are now available by e-mail!. For information and to request a reading, click here, or send a message to burchjan@gmail.com. Visit my website www.GeoGlowConsulting.com for more information about my intuitive services. I made her using a web app thingy I found - and yes, she does kinda sorta look like me! 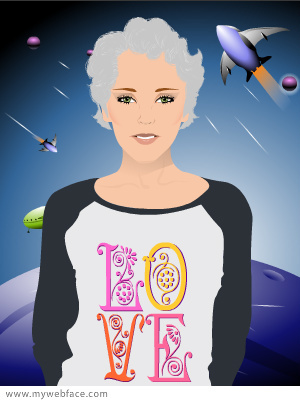 Or maybe she's how I wish I looked - I'm not usually that sleek-looking ;) But the gray hair and the cheekbones are accurate, and it definitely expresses my persona with the 60's-ish Peace & Love shirt, and the outer-space background! Which also gives me a great way to celebration my Three Year Blog-iversary: We need some dancin' in the streets! And to echo the 60's outer-space theme, here's a version with Mick Jagger AND David Bowie. Hubba hubba! I described the journal book really well on the video notes, so I'm repeating it here, because I know you probably won't click the little thingy on the YouTube page to see all of the notes ;) But I do hope you'll watch the video, and maybe even leave a comment for me! I began this journal in January 2009. The title DATE LOG comes from the base book itself: it's a desk calendar for 2009 that I received in the mail, one of those freebies they send out to get you to buy promo items for your business, ha ha. I loved working in this book for several reasons: The feel of the paper, the built-in interesting background from the calendar pages themselves, and the size. At 10" x 14" opened, the page spreads were a comfortable size for me to work in. Cell isolation is now possible: STEMCELL Technologies offers a wide range of solutions for the isolation of virtually any cell type from any species. Harnessing the stability and versatility of STEMCELL's Tetrameric Antibody Complex (TAC) technology, cell separation methods are available for the positive or negative selection of a wide range of cell and sample types. With Positive Selection, the desired cells are labeled. In Negative Selection methodologies, unwanted cells are targeted (labeled) for depletion, while the desired cells are left untouched. With technologies using magnets and/or centrifuges, operation is simple: just load your samples and reagents and return to separated cells in as little as 25 minutes. 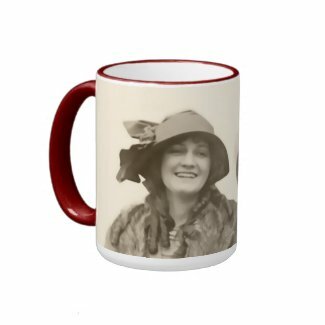 Take a break from the holiday hustle-bustle and sip a soothing a brew from this chic mug! 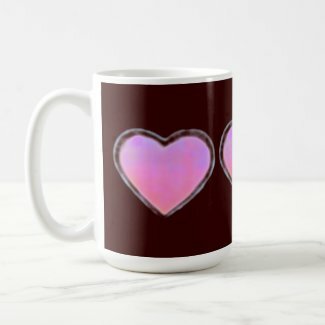 It makes a great Valentine's Day gift as well - and you can choose your favorite background color for a different look! Like the warm glow of the returning winter sun, The Lamp reminds us to access our accumulated Understanding and Wisdom for the benefit of all. This energy is the fulfillment of I Become, and arriving as it does at this time of the Winter Solstice, it calls us to look back over the previous 12 months and put this year's lessons into practice. Emphasized with this reading is the theme of work and service. How do we make use of our energy in the kinds of work and service we perform? This will be an auspicious time to access healing qualities and refine what we express to the world. We will also be able to see the truth clearly, and therefore will not be easily fooled! The reading is in effect through Lammas Day, February 2, 2011. A peak in the theme-of-service energy occurs on Christmas Day, December 25, and lasts through the 26th. Therefore, why not include a gift of service in yur Christmas plans - there are so many opportunities, beginning with the home, the family, the neighborhood, and to the wider world at large. 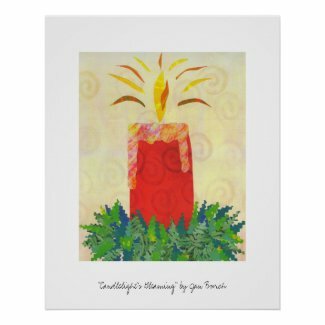 Service in Spirit to others always repays itself 10-fold (though usually in a way you cannot predict or expect :) Here's wishing you and yoursa Happy Solstice and a joyous holiday season! You'll need the best of Winnipeg movers when you're relocating in Winnipeg! Two Amigos has been providing outstanding moving and storage services since 1991. Customers find that their costs very competitive, whether in Toronto, Calgary, Winnipeg, Edmonton, or surrounding areas. Two Amigos guarantees pickup, delivery, price, and service for each and every relocation, no matter how large or small. Services include: Personalized household moving for families and individuals; commercial moving services for any size relocation; full-service packing and crating to sale of packing supplies to provide the products and service you need; plus safe and secure warehouse storage for your belonging. You can get a free, no-obligation estimate for any relocation project. Speedpro Signs and Imaging installs more vehicle wraps than any other Canadian company. Style isn't just for the runway ... it's also for the roadway! Personalizing your vehicle is ideal for home based and multinational companies because your travels will make a direct impact on potential customers 24/7. Decal it, wrap it or partially wrap it, and get maximum exposure every time you hit the streets! We can wrap your entire vehicle or provide partial wraps. Or if you prefer something simple and bold we can affix vehicle logo decals where ever you choose, ensuring the quality and integrity of your logo. The good news - and I hadn't expected it - is that my extended warranty is still active, so it will be replaced for free! The bad news is, this may take a couple of weeks :( Fortunately, my local public library system has free computers at branches all over town! so that's where I am now, giving you this update. I may not post as often as I'd like, but I'm still here and still able to fulfill Etsy orders and so on. Speaking of which, after an extremely slow month at Etsy, when I opened my email today I had two sales! What a way to appease the sales fairy - hope I don't have to sacrifice any more computers to keep it going, lol. 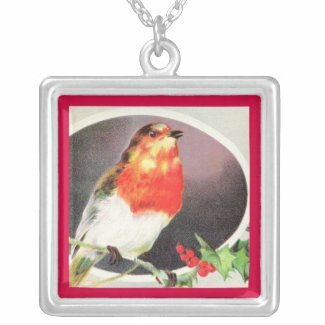 My Zazzle sales have been rockin' and they don't need my attention to keep on keepin' on - so let the sales continue. 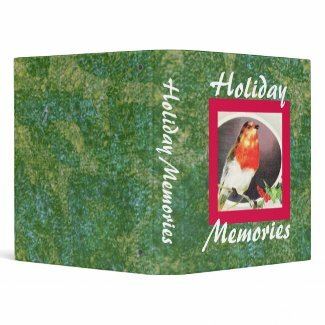 You'll find my Zazzle & Etsy links on the sidebar & blog footer, so don't hesitate to check out my fabulous holiday offerings! The Tunnel is one of those blessings in disguise, for it is the gift of inner connections and accessibility - like a passageway to different realms. The act of passing through the seeming darkness of the Tunnel - and it can seem mighty dark at times , even though it doesn't have to be that way - is the process that finally gets all of your inner aspects talking to one another in relative harmony. And it is simply this, that calm sense of inner integration, that allows you to become accessible to others. Edgewater Exploration Ltd. is a Gold exploration mining company based in Canada, with international prospects for mining and development. Edgewater is building a portfolio of exploration and development stage undervalued gold mining assets worldwide. The Company successfully secured two mid-stage gold projects from Red Back Mining and Lundin Mining. begin a 15,000m program in Ghana by mid Q4, 2010. The Air is a condition of freedom, motion, no limits. Imagine how it sweeps across the landscape, and take that as your inspiration. Be aware, though, that this energy can sweep away the flakes. If things seem to get too crazy, pause and ground yourself. A good way to do that is with 36 Breaths. Major themes for this month with involve expanding our knowledge and surpassing limitations. It's time to reach for our highest hopes, find inner freedom, then offer our findings to all! This energy will peak about December 9-10, and then we'll have another chance to practice our lessons as we go into Mercury Retrograde on December 10th! That's followed by the turning of the year, the Winter Solstice, on December 21. I'll be bringing you special forecasts for those celestial events, so stay tuned! 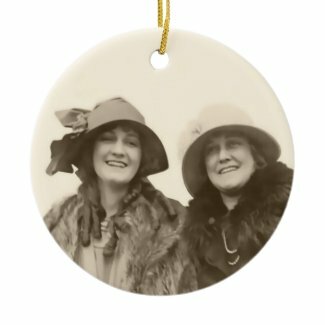 Great Gift Idea: I'll Turn Your Crappy Photo into Something Beautiful! It's easy order this special service product from my Etsy shop, and with my ongoing coupon code, you'll get 11% off this plus anything else from my shop through Nov. 30! Just enter the coupon code 11PCTTONOV30 at checkout. I'm also pleased to link this post to the Saturday Blog Shoppers crew. Please visit these other fine Etsy shopkeepers HERE, and check out their special offers! Lily of the Valley iPhone Case: Vintage Floral in a Modern Way! 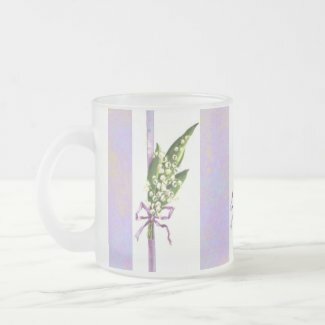 This lovely floral also looks nice with a soft purple background, as shown below, and it's easy to personalize with your initials. 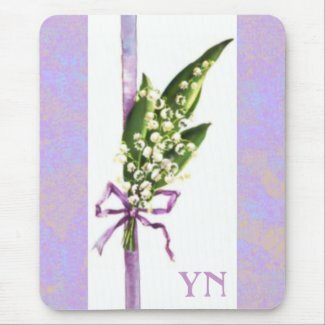 Stay tuned for more of my Lily of the Valley products, because after the holidays I'll be posting a wedding collection, too! The basic position is shown in the left view. If this is uncomfortable for you, modify the position as shown in the right view. That's it! You may remain in this position for as long as you like. By doing this gentle hold, you are connecting all of the body's major subtle-energy flows. Sitting in this pose spreads total harmony and vitality throughout your being. If the basic hand position described above is uncomfortable for you, you can modify it as shown on the right in the illustration. When you feel at ease with this sitting posture, you can deepen the practice by becoming aware of your breath. Mary Burmeister, the founder of Jin Shin Jyutsu in the West, has said, "We come into this world with an exhalation, to clear and empty us, so that we can receive. We never 'take' a breath. We 'receive' a breath." While you are sitting in your Big Hug position, simply count 36 breaths. Begin by counting on the exhale: inhale, exhale - one; inhale, exhale - two; inhale, exhale - 3; and so on. Don't try to change or force your breath; just allow it to unfold naturally. If you lose count, you can either start again, or you can continuing sitting peacefully without the counting. Counting to 36 represents a complete cycle of the body's fundamental rhythms. You can also do the count in four cycles of nine. Try this both ways, and see which works best for you. Practicing the breath-count, over time, will help your breathing become naturally deeper and more rhythmic. After you spend some time sitting in the Big Hug posture and counting your breaths, you'll be feeling so good that you'll want to smile. Self-care should never be a rigid, serious endeavor. One thing we all need to remember is to lighten up. So let those mouth corners turn upwards, and show the world your peaceful, happy face! One of my favorite teachings from Mary Burmeister is, "Be the smile." In fact, I often put this message on my voice mail! When I regularly practice self-help exercises like the Big Hug, "being the smile" is easy. Jin Shin Jyutsu is an art of subtle-energy balancing for the body, mind, and spirit. It is being used by thousands of people, all over the world, to harmonize their energies and improve their well-being. As a practitioner of this art, I provide private sessions with individual clients to help them relieve stress, gain vitality, and meet the challenges of daily life in way that centered, grounded, and collected. Jan Burch is the Albuquerque-based owner/practitioner of Geo-Glow Consulting, offering Feng Shui consultations, intuitive readings, and vibrational healing with Jin Shin Jyutsu. Visit her website at www.GeoGlowConsulting.com. 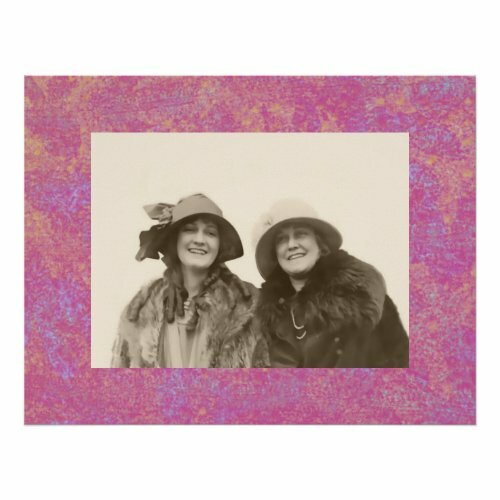 How do you like my Vintage Cuties from Zazzle.com? I finally got around posting one of my "utility" images as works of art in itself! 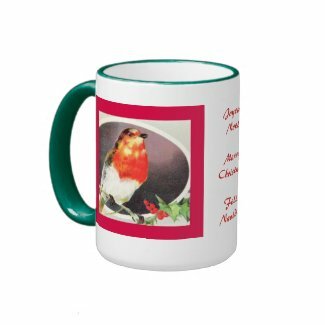 Below you will see my Vintage Cuties image in three forms - a poster, an ornament, and mug. Aren't they sweet? Click the previous link to see more! I made this nostalgic digital painting from a vintage photo shown here, courtesy of the Graphics Fairy. Thank you, Karen! This post is linked with BRAG MONDAY at *The Graphics Fairy* Blog! ...The wild and ecstatic night-long celebrations marking the anniversary of the saint's death were almost a compendium of everything of which Islamic puritans most disapprove: loud Sufi music and love poetry was being sung in every courtyard, men were dancing with women, hashish was being smoked, huge numbers were venerating the tomb of a dead man, and all were routing their petitions through the saint, rather than directly to God in the mosque. "These mullahs are just hypocrites," said one old fakir I talked to in the shrine. "Without love, they distort the true meaning of the teaching of the Prophet. They are just interested in themselves. They should all be jailed for life." The old fakir ... was adamant that there were two things I should not miss when I visited Sehwan Sharif. The first was the daily dhammal, or devotional dance to the saint, which took place each evening at sunset, after the end of Magrib prayers. The other, he said, was a famous lady fakir who lived in the shrine, and was said to be the most passionate of all the saint's devotees. Her name, he said, was Lal Peri Mastani, or the Ecstatic Red Fairy. I asked how I would find her amid the crowds. "Don't worry," replied the fakir. "Everyone knows Lal Peri. And anyway she is unmistakable." "In what way?" I asked. "She is dressed in bright red, is very fat, and she carries a huge wooden club." The two prevailing energies are the Leaf and the Harp. Despite the fading leaves of autumn in the outside world (at least in the northern hemisphere), this Leaf promises new energy emerging from within us. Like the tender Leaf that is planted in spring, it requires nurturing and care to come to fruition. And a good way to care for this Leaf is to play your Harp, which is your gift of being able to create harmony. Bridging these two qualities, and thus completing the circuit, is the Star of Laugh. This is exuberant, expressive, playful energy. If you can't cast away all of the worries and concerns filtering in from the outside world, at least find the humor in your situation and laugh your way through it. Dominant themes for this month involve feelings, self-expression, and refinement. Why not get started on crafting your plans for the holidays to come, for example. As we move into the peak timing of this cycle, from November 23 to 29, we will find ourselves claiming our own natural authority and leadership, as well as looking to turn this inner satisfaction outward into work and service for the world. Last month I talked about the lessons animals can teach us. When I was down in Yuma a couple of weeks ago visiting my mom and attending my dad’s memorial, I watched my mom’s friends, who are between the age of 70 and 90 and it was amazing. Most of these snowbirds have some kind of pet – usually a small dog but many have cats and some have birds. Watching the bonding and healing affect these animals have on the seniors was incredible! Most of the time, pets bring out a nurturing and protective side of ourselves, and I have personally witnessed this in the prison with the inmates and dogs. Humans are touched by the companionship and cuddling and the unwavering loyalty of an animal. I believe we are supposed to connect with animals on a deeper level. Susan Chernak McElroy, author of All My Relations: Living with Animals as Teachers and Healers states, “Basically we’re the same people in our brains as we were 125,000 years ago. Back then animals were everything to us – food, shelter, clothing, spiritual relatives.” Her theory is that the humans who successfully understood animals and who were enmeshed with the natural world managed to survive over people who weren’t. A few days before my dad passed, he told my mom he saw dogs in the hallway of the care center. Many were sitting by the wheelchairs of their owners. It brought tears to my eyes to think my dad was seeing these loving spirits who were waiting patiently for their owners to cross so they could be together again. So give your pet a big hug and kiss and know they are doing healing work on you all the time. Honor them as a gift from the Universe to help us survive. All Hallows, the final cross-quarter day of the year, is upon us, dear readers. I have consulted with my guides through the Star+Gate cards to prepare this forecast for now through the Winter Solstice, and I see that we're being called to adapt to Change. Are you prepared to bend and flex, like a tree that sways in the Wind? As the beautiful month of October comes to a close, dear readers, here's a sneak peek at my intuitive forecasts for November and beyond: During this time, we'll refining our self-expression and focusing on the kinds of work and service we can perform. The air is full of potential, with all the new-growth energy of the The Leaf. As we come home to the time of the Winter Solstice, December 21, inner needs and feelings will hold sway. This can be a very sweet time, fellow-traveler, if you keep your Harp well-tuned! If this whets your appetite, you'll want to stay tuned for my full-length forecasts, coming soon for the month of November and for the All-Hallows to Winter Solstice period. In order to devote the time required to provide a quality, in-depth intuitive forecast, I feel the need to do this within the mode of energy exchange. Therefore I've made my detailed forecasts, and other premium content in this blog, available on a subscription basis. When you clink on the link to these subscription posts, an overlay will appear giving subscription details and an opportunity to sign up for periods ranging from one to six months, for as low as $3/month. After that, just follow my blog and you'll able to access the complete posts and read all of my forecasts, Feng Shui tips, Jin Shin Jyutsu wisdom, and more. To get started now, just clink this link and fill in the form! In the market for North Vancouver condos? Local on Lonsdale is designed to be an integral part of the Central Lonsdale community. With its one-acre, landscaped green roof (the largest in North Vancouver), art displays and streetfront shops, a new, 42,00-square foot grocery store, and a public plaza, this development is meant to enhance the existing community, not define it. Residents of Local on Lonsdale enjoy endless skyscapes amid the sea of green that signifies North Shore living - along with a vibrant, culturally-diverse neighborhood that displays a real heart and real warmth. Set in a neighborhood worth getting to know, Local on Londsdale is designed to make brilliant North Shore living even better. For the trendiest of Vancouver hotels, you can't beat The OPUS in Vancouver. It's hip and vibrant in design, yet totally compatible with its historic Yaletown setting. Ninety-six luxury guestrooms await you, each styled with glorious colors, spa bathrooms, and decor schemes that fit your style: modern, eclectic, traditional, daring, or sophisticated! This hotel is home to the One Hundred Days Restaurant and OPUS Bar, rated most popular nightlife by Zagat. All this is located in a fashionable, historic neighborhood just steps away from the inner harbour, Canada line transit, outdoor recreation, and Vancouver's best restaurants, spas, and shops. Staying at the OPUS Vancouver Hotel gives you the services and amenities of a luxury hotel within a stylish and intimate environment. Just around this time, as luck would have it, I ended up at a business meeting with a feng shui healer and lifestyle guru ... At the end of the meeting, I couldn't keep myself from asking [her] for advice, since she was an expert in the ancient Chinese practice that believes your home and your luck are intertwined: "I think I'm cursed by my home, and I'm getting ready to sell it. What can I do to make sure the house lets go of me? I'm afraid I won't be free of it." [She] asked me a question or two to understand just what I was talking about, and my whole story came tumbling out in a torrent of words, as it always does. [She] just calmly looked at me across the table and said, "We can take care of this. We can fix this." I almost swooned with relief. Jan's note: This passage resonates with me, because as a Feng Shui consultant I have seen my client obtain this relief many time with the application of Feng Shui principles! Check my website Geo-Glow Consulting for information about my services. You can also subscribe to my premium blog content for Feng Shui tips, intuitive forecasts, and more! Speechless on Sunday: Because this picture says it all! Think you don't need to know about Feng Shui? Take this simple check-up: Have you ever experienced being out for the day, feeling great, enjoying life - and then you return home, or perhaps to your office - and you instantly feel tired, irritable, or "down?" This can be a problem if the place that's "bringing you down" is your home - after all, you live there! Do you fall asleep the minute you sit in your favorite chair, have a room you can't stand to be in, or simply feel that, nice as your home is, it could a lot better? If you spend enough time in these "downer" environments, you'll start feeling permanently down. That's the bad news. Fortunately, these problems can be reversed, so that your home becomes a refreshing place of lightness, harmony, and joy. Clearly, it's better for your health and overall well-being to feel good about being home. The good news is, there's a practice that brings life energy into your space, which automatically enhances your well-being. The art of Feng Shui is that practice. Feng Shui is so well-accepted in the Eastern cultures that few businesses in commercial centers such as Hong Kong or Singapore would consider opening without a Feng Shui consultation. The term Feng Shui comes from the Chinese, and it means "wind and water." Dating back at least 3,000 years, Feng Shui has been defined as "the Chinese art of placement." Despite the Chinese name, arts of placement have been practiced all over the world, including here in the Southwest. For this reason, I like to think of Feng Shui as the art of creating a harmonious environment. In other words, the power of place. Placement: It's true: where you put your couch, your bed, even your pictures can make a big difference in the way life energy flows through your home. For example, too much furniture placed too close gives the room a cramped, restricted feel, while an arrangement that is too sparse can leave the room feeling cold and uninviting. A balanced placement gives the room a welcoming yet serene feeling. Color Balance: We all know that colors affect us. Warm colors like red and orange make us feel ... warm. Cool colors like blue and green are calming. The colors you use at home for everything from walls to floors to furniture to accessories will have a big effect on the way you feel. An easy way to refresh the color energy of your room is by changing accessories such as pillows, throws, pictures, and plants. Special Features: Many of you know that fountains, wind chimes, plants, and mirrors are a big - and fun - part of Feng Shui. Each feature has its own job to do in attracting life energy. While placing special features is an art, here's a simple way to get started: Cover a side table with a pretty cloth in an appealing color. Place in the center of the table: a plant, an attractive figurine, and a candle. Light the candle, sit where you can comfortably view your display, and spend a few minutes enjoying your new flow of life energy. Once you've experienced this refreshing energy flow, you'll want to take it further. There are many resources available with information about Feng Shui: a recent Google search brought in over 24 million results! If these choices seem overwhelming, a professional consultant can help you select the best option for you. Happy harmonizing! Jan Burch is the owner of Geo-Glow Consulting, based in Albuquerque, New Mexico. Her Feng Shui practice offers holistic energy balancing for home, office, and self. For more information about her consulting service and holistic practice, visit her website at www.GeoGlowConsulting.com.